One of the objectives of the FITM is to undertake studies on various issues pertaining to ITMs. 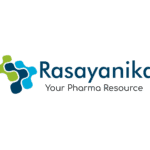 These include assessment of regulatory frameworks, including protection and promotion of traditional medicinal knowledge in India and other countries. The ultimate aim is to promote access to and expansion of Indian Systems of Medicine. Additional qualification in any other specialization especially IT is desirable. Outstanding candidates from other disciplines may be considered. UGC recognized Indian University, Deemed University /Institute. at the time of application for the Fellowship. The upper age limit for the applicant for Doctoral Research Fellowship shall not be more than 28 years on the last date of application. The applicant for Post-Doctoral Fellow should not be more than 35 years of age on the last date of application. The upper age limit is relaxable up to 5 years in case of candidates belonging to scheduled castes/scheduled tribes/OBC, physically challenged and female applicants. The total (lumpsum) amount of each Doctoral Research Fellowship will be a maximum of INR 5/- lakh (Rupees Five Lakh Only) per year. The total (lumpsum) amount of Postdoctoral Fellowship will be a maximum of INR 7.5/- lakh (Rupees Seven Lakh Fifty Thousand Only) per year. No other grant or allowance or assistance will be provided by FITM. The amount sanctioned to a Fellow will be disbursed in quarterly installments, subject to the satisfactory progress of the project and/or recommendation of the Fellowship Committee to that effect after its review. two years from the date of the award of Fellowship with no extension. of one year from the date of the award of Fellowship with no extension. Overview of Literature: The overview of literature should summarize the current status of research, including major findings in the proposed area of study. The research Proposal should clearly establish the relevance of the approaches and findings to the objective of the Research Fellowship. The applicant will be required to submit his/her particulars in the prescribed format, duly filled-in, along with a Proposal. The Proposal for the Doctoral Research Fellowship may or may not be similar to the Proposal for PhD thesis submitted to the University where the applicant is registered. The Postdoctoral Fellow may submit a Proposal based on the area of research he/she intends to undertake during the Fellowship. The validity of the award letter shall be one month from the date mentioned in the award letter. No extension beyond one month will be considered. Decision of the FITM in matters of selection for interview or for award of Fellowships, etc. shall be final and binding on the candidate. Online applications will be invited on all India basis through press advertisement. 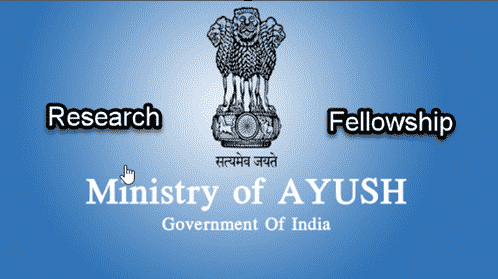 The information with respect to inviting applications is also to be made available on the RIS/FITM website http://www.fitm.ris.org.in/fellowship and Ministry of AYUSH website http://www.ayush.gov.in. Applicants are required to apply online.